It’s often easy to dismiss the technological advances in the flight deck as nothing more than an appeal to pilots. While innovation tends to start in the flight deck, capabilities introduced in the cockpit also provide comfort and peace of mind to you and your passengers in the cabin. Visualize a lengthy, late-night flight across the Atlantic Ocean. While you might expect to feel fatigued, that’s not the case in an ultra-long-range aircraft such as the Gulfstream G500 and G600, featuring a cabin custom-designed for passenger comfort and uninterrupted connectivity. And to keep fatigue in the cockpit to a minimum, the aircraft are equipped with “phase-of-flight” technology that decreases the workload for pilots from takeoff roll to final approach and touchdown, allowing them to focus on flying. 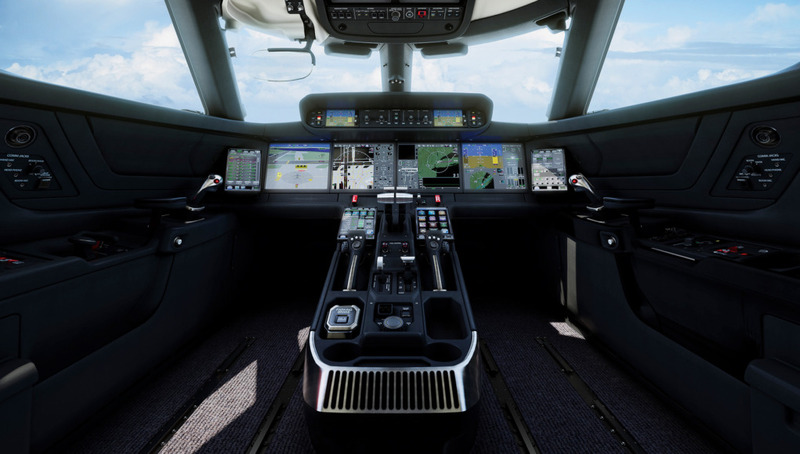 Pair that streamlined workload with Gulfstream’s third-generation Enhanced Vision System (EVS III), which provides the latest resolution and enables pilots to see in darkness and operate the aircraft more safely in all low visibility situations; as well as Synthetic Vision-Primary Display, which presents a computer-generated 3D image of the terrain ahead. 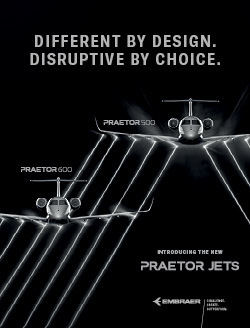 Because of the system’s capabilities, the FAA has approved the use of EVS for landing the G500. The ability to land even in low-visibility conditions eliminates repeated go-arounds, which means you can arrive at your destination without the inconvenience of weather-related arrival delays. Electronically linked active control sidesticks, currently available only on the Gulfstream G500 and G600, replace the traditional “yoke” and enable pilots to feel each other’s inputs as well as those from the autopilot. The result is an increase in pilot situational awareness, which greatly enhances safety. Along with the sidesticks, touch-screen controllers on the panel significantly reduce the number of switches in the flight deck and provide interfaces that anticipate your pilots’ next moves, from taxi to takeoff through landing. Designed for ease of upgrading, the Gulfstream G500 and G600 touch-screen-based flight decks can incorporate future technology enhancements and advancements in navigation. Additionally, the active control sidesticks open up room in the flight deck, thereby increasing visibility to the instrument panel and giving pilots a place to work and plan outside of the cabin, so as to not interfere with you and your passengers. These newest technological advances also offer pilots the ability to quickly start the airplane and have it ready to depart in approximately ten minutes, half the time it would take without the phase-of-flight innovation. Many of these technological innovations aren’t always visible to you. For example, a data concentration network (DCN), tucked behind the sidewall, collects and distributes data from various aircraft systems and makes that information available to other systems, all within an advanced infrastructure that has fewer wires and parts than before. The DCN creates more room in the cabin and reduces aircraft weight, reducing fuel burn and leaving more room for luggage. It also is easier to maintain, and acts as a back-up system, so that if something should fail, the pilot can continue to operate the aircraft safely. Your pilots and technicians can stay ahead of potential unscheduled maintenance issues, thus increasing your aircraft availability and reliability, and allowing you to fully leverage one of the major benefits of business aviation: flexibility. Even more hidden technology enhances your cabin experience. This includes 100% fresh air, unprecedented low noise levels, and a low-altitude cabin environment, which is less tiring for passengers, even while cruising at 41,000 feet and higher. Combined with the option for Jet ConneX, the high-speed KA-band broadband service, this environment makes it possible for you to stay alert and connected as you access high-speed internet, streaming capabilities, and multiple owner-secure Virtual Private Network sessions.